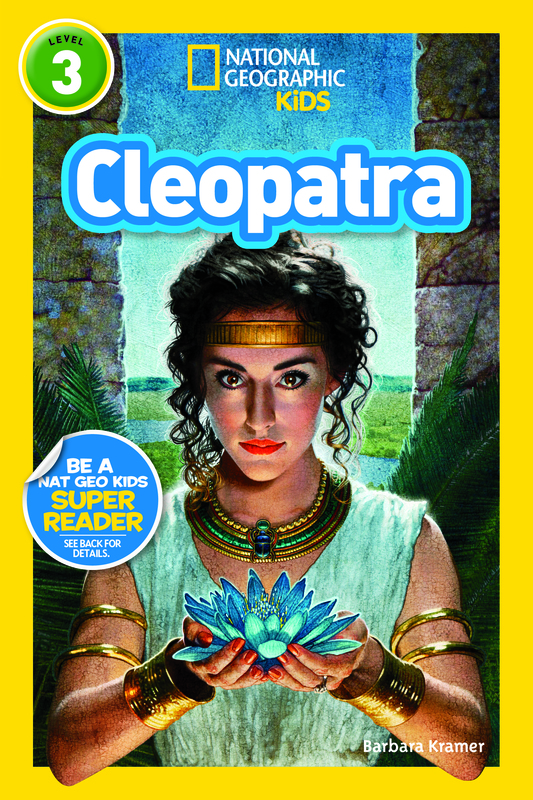 National Geographic has released my two latest biographies for kids – Cleopatra and Pope Francis. I wrote Cleopatra before I started Pope Francis, but as Cleopatra went into production, there were times when the books overlapped. One day I would be making changes to the biography about Cleopatra, the richest woman in the world at that time, and the next day I would be writing about Pope Francis who has always lived simply. Writing about two so different people was fun and I couldn’t wait to get to my computer each day. Cleopatra presented a special challenge. After more than 2,000 years, she is still one of the best known women in history. Even so, when I began my research, the first thing I learned was that we actually know very little about her. Turns out that many of the wonderful stories I have heard and read about Cleopatra are legend, not fact. That was a problem. I wanted kids to know the true story, but how could I tell an interesting story when there were so few facts available? The answer I decided was to be very upfront with readers. So I began the book by mentioning a few things we do know about Cleopatra and then noted that much of her life remains a mystery. I included the stories I had read about her, but used the words “legend says” to indicate those that may or may not be true. I was glad my editors at National Geographic agreed with that approach. Everyone who worked on the book kept that goal in mind including Patrick Faricy, the illustrator who created the beautiful cover for the book. I’ve always pictured Cleopatra as Elizabeth Taylor in the movie, but the artwork in the book shows a variety of interpretations of what Cleopatra may have looked like. They include a couple paintings of her as a blonde. As it turns out, the Elizabeth Taylor version of Cleopatra may be the most unlikely portrait. Cleopatra was the queen of Egypt, but she was not Egyptian. Her family came from Greece. The book cover illustration of Cleopatra shows how she may have looked when she was 18 and the new queen of Egypt. In that image, she has Greek features rather than Egyptian. 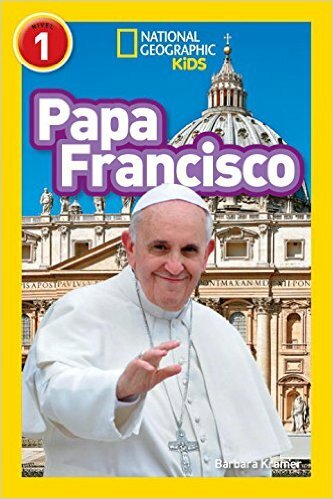 I was well into writing the Pope Francis biography when he announced his plans to visit the United States. Somehow that made working on the book even more exciting. Many of my recent books have been about people in history, but with Pope Francis I was writing about someone who was making history. I’m hoping my book will help kids learn more about the person who is creating such excitement with his visit to this country. 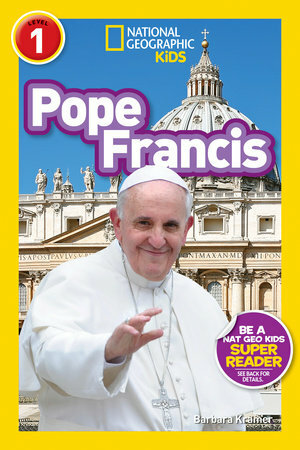 National Geographic released two editions of Pope Francis. One is written in English and the other in Spanish, Papa Francisco. Having a book released simultaneously in two different languages marks a first for me. I’m celebrating the release of these books by giving away a copy of each one, Cleopatra and the English version of Pope Francis. To be entered in a random drawing, just leave a comment below. I’ll draw two names on October 16, one for each book, and then will contact the winners to get mailing addresses. Good luck!